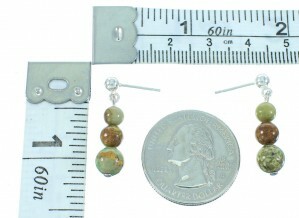 This pair of earrings is a true treasure! 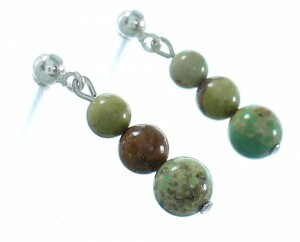 This piece of Native American jewelry is Navajo hand crafted out of genuine sterling silver and real Turquoise beads. 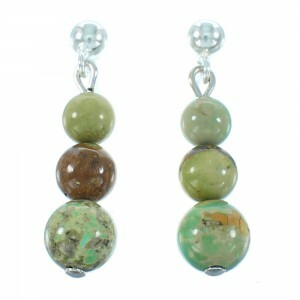 The earrings consists of: Turquoise round beads that range from 5-mm to 7-mm.